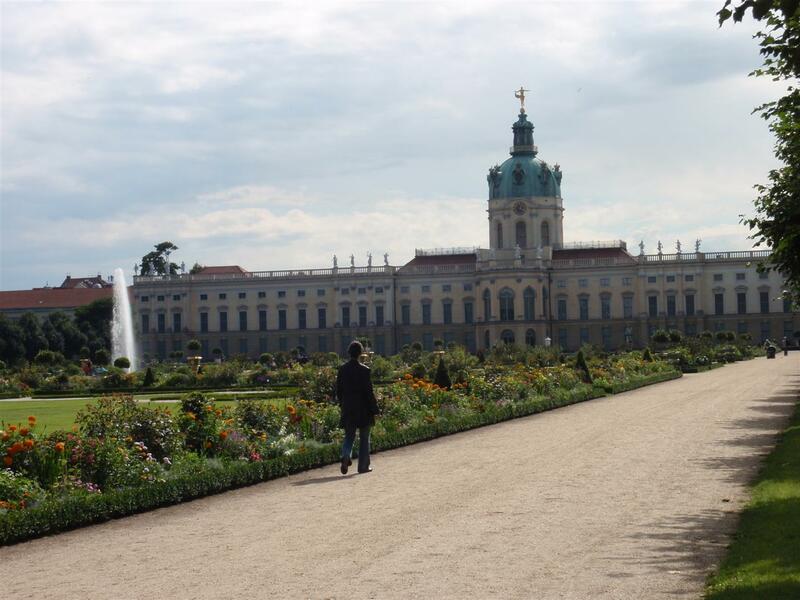 When I need a break from travelling and want to relax for a while in Berlin, I head to the gardens of Charlottenburg Palace. Named after Sophie Charlotte, the wife of Frederick the Great and the first queen of Prussia, the baroque palace was constructed in 1699 and is the largest palace in Berlin. I first visited the palace while on a school trip in 2001. I have vague memories of a beautiful light-filled ballroom, a dark crowded chapel, and the first of what has now been many rooms that house royal collections of porcelain and china. But it’s the gardens that I really love. The formal gardens at the back of the palace are full of colourful flowers, manicured hedges, marble statues and water features. 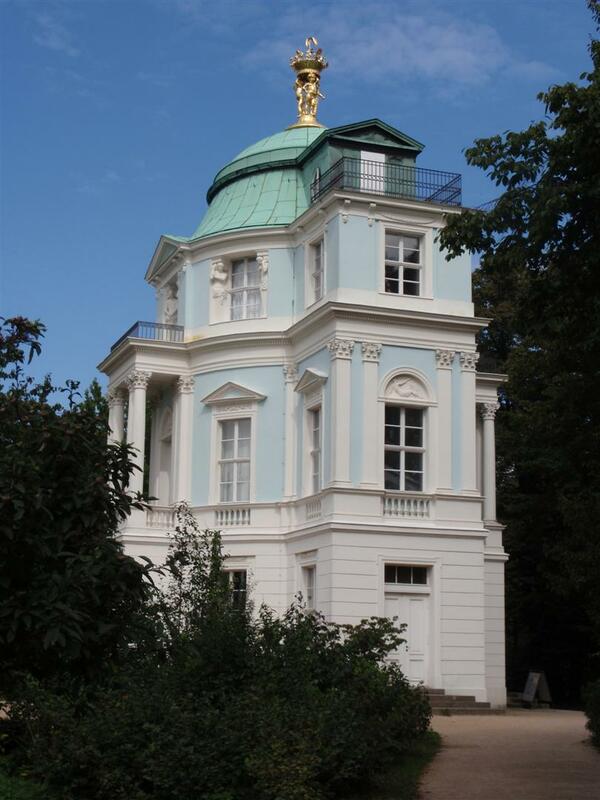 Beyond this ordered garden is a forest where you can spend the afternoon traipsing over bridges and discovering the monuments in the Charlottenburg Palace Park. You can explore the Pavilion, view the porcelain collection in the Belvedere or make a more sombre trip to the Mausoleum of Queen Louise. If that doesn’t suit, perhaps try hunting for quirky objects hidden in the park, such as The Obelisk – a structure commemorating the date of March 11, for no particular reason other than it can. 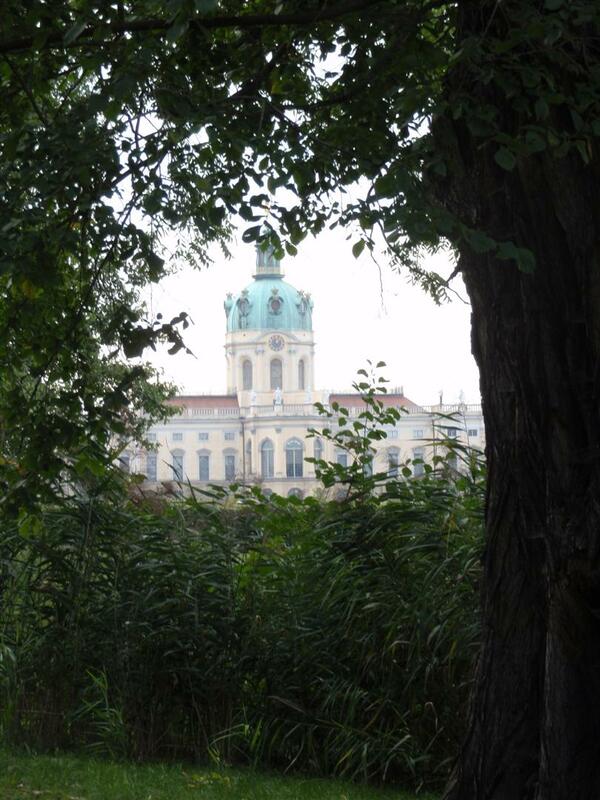 My favourite thing is to do is to find a bench with a good view of the palace peeking through the trees, pull out a book to read and spend an hour or two chilling out, without anyone bothering me (something that never happens when I try the same thing on Museum Insel!). It is so peaceful and tranquil that the time slips by. After spending a few hours of downtime with a view like this, I’m ready to head back in to the rush of Berlin life. How do you recharge while travelling? 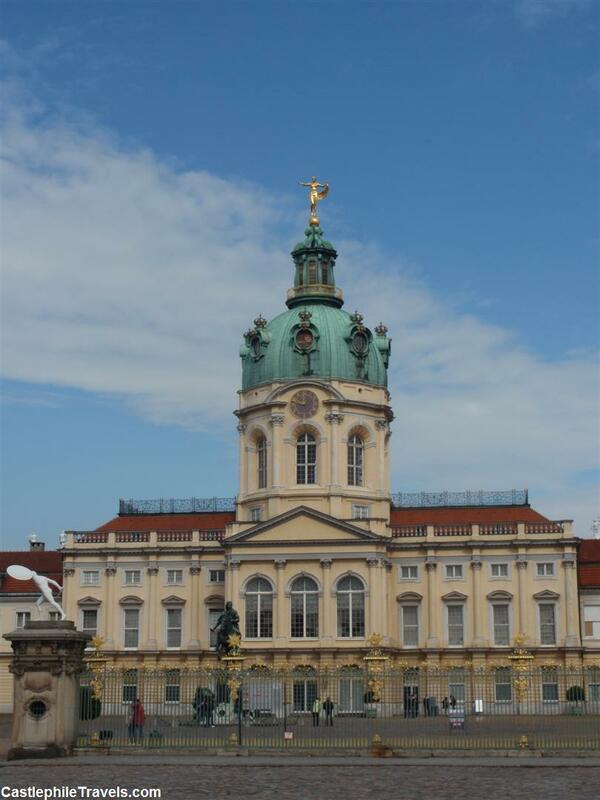 Charlottenburg Palace is also known as Schloss Charlottenburg. 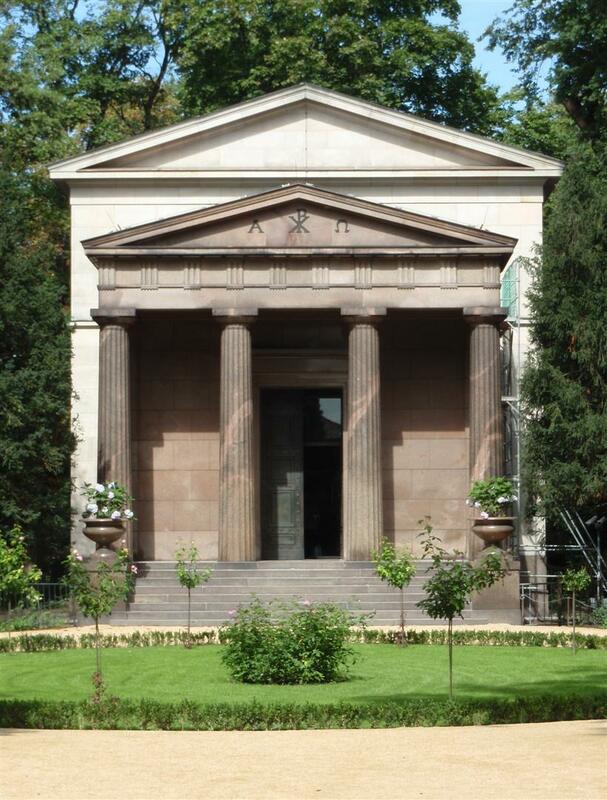 To get to Charlottenburg Schloss take the U-bahn and get out at the Richard-Wagner-Platz stop. 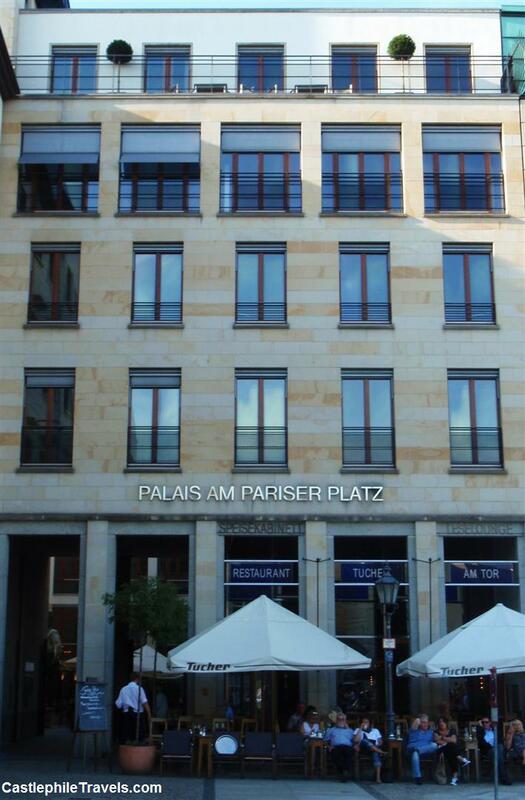 Turn left and walk up to the end of Otto-Suhr-Allee and you will find yourself on Spandauer Damm in front of the palace. You’re a character in your favourite fairytale. You trip through the powdery snow, passing glassy lakes where swans glide and witches cackle as they fly overhead. You dart through snow-capped pine trees, past gingerbread houses, old mills and fortresses, to your home – your very own castle. For a fairytale setting like this, you could use your imagination. Or you could live it for real. The city of Göttingen is located in Lower Saxony, a short detour from the tourist trail Germans know as the Fairy Tale Road. Populated by numerous students, who flock to the renowned Georg August University of Göttingen in the school months, Göttingen was once the residence of Jacob and Wilhelm Grimm. 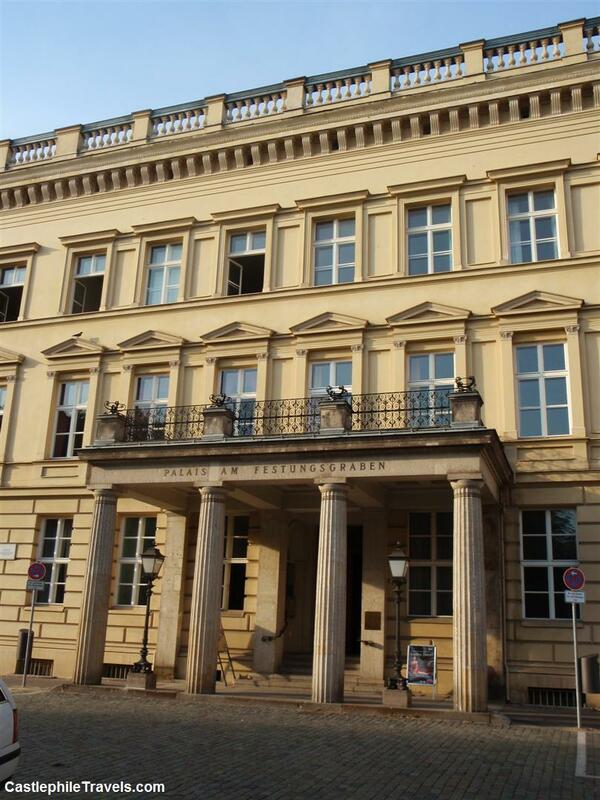 The Brothers Grimm worked at the university during the 1830s – Wilhelm as a librarian and Jacob as a lecturer on literary history. During their stay, they collected many local folk tales from the villagers in the mountains that surround Göttingen for their Grimm’s Fairy Tales. The mountains surrounding Göttingen hide many settings perfect for scenes out of Grimm’s Fairy Tales. Burg Hanstein, a gothic fortress built in the eleventh century and owned by the same family for most of its life, was destroyed by Swedish troops in 1632, during the Thirty Years War, and lies in that same state today. Wandering among the stone ruins, traipsing through the narrows corridors with low ceilings, into courtyards paved with cobblestones, up and down spiral stairwells, and past dungeons, you cannot help but think you’ve been transported back in time. After the self-guided tour of the fortress, the Knight’s Hall allows you to partake in a banquet atmosphere. Have some rich fruitcake and apple cider as you sit next to a crackling fire. The North Tower’s panoramic view of the lush green valley below Hanstein and the Harz mountains as they rise above the city of Göttingen is beautiful. The Harz mountains are famed for witches. The Harz region was the last in Germany to cling to its pagan heritage, and thus a number of legends made famous in German literature have originated from this area. In winter, the green forests and colourful flowers of the summer months become a winter wonderland dusted with snow. A recreational playground for locals, there are lakes for swimming and slopes for skiing, as well as numerous walking trails. A favourite is to hike up the highest mountain in the Harz – the Brocken. The reward is a spectacular view of Lower Saxony, with brilliant blue skies and green fields in the summer, and sultry greyness during the winter where blocks of ice cling to poles and mining vehicles on display are frozen stiff. A stroll through the Brocken museum not only describes more about the flora and fauna of the Harz mountains and the strong mining industry which is found there, but also introduces tourists to its myths and tales, some of which were included by the Brothers Grimm in their collection. 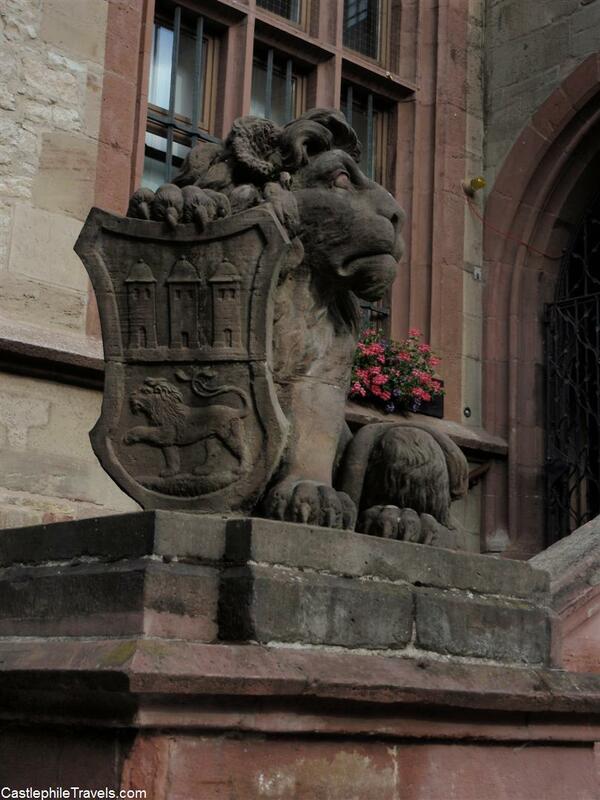 The city of Göttingen itself contains its very own link to the fairytales of the Brothers Grimm. 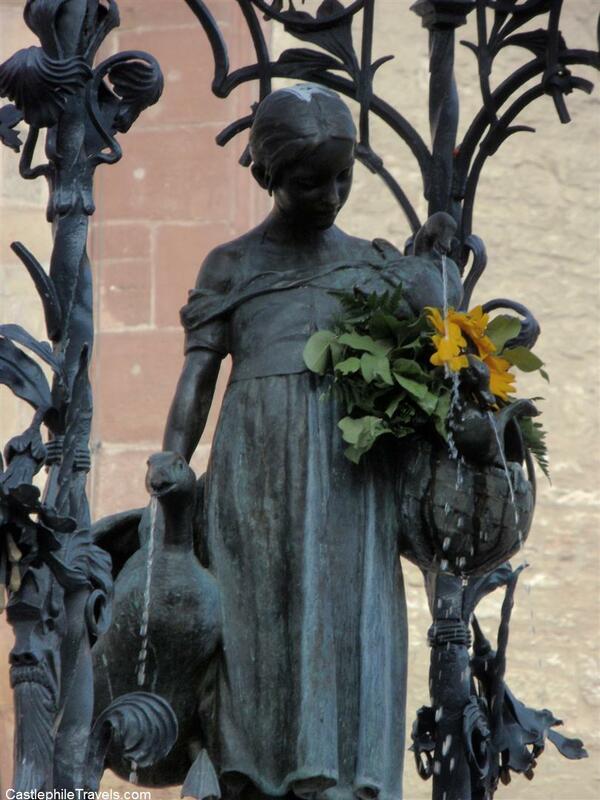 In the city centre, in front of the Göttingen Town Hall, the statue of the Little Goose Girl (Gänseliesl) stands upon a fountain accompanied by her goose and a basket of flowers. Some shoppers in Göttingen may be lucky to witness the tradition which has earned the Gänseliesl the title of the most-kissed girl in the world: every postgraduate scholar gives the statue a kiss upon receiving their doctorate. At Christmas time, the Gänseliesl is surrounded by the stalls of the Christmas markets. Here, fruit, nuts, sweets, cake, crepes and gingerbread are for sale along with with traditional German Christmas decorations and toys. Music and revelry are the order of the day, with locals snuggling up with a mug of hot Glühwein, retaining the glass it came in to add to their collections. Fairy lights twinkle from every stand, choirs sing carols and the jovialty of the festive season shines over the Christmas markets and the Gänseliesl, making it that bit more magical. Most girls dream of being a princess in a fairytale, living in her very own castle. 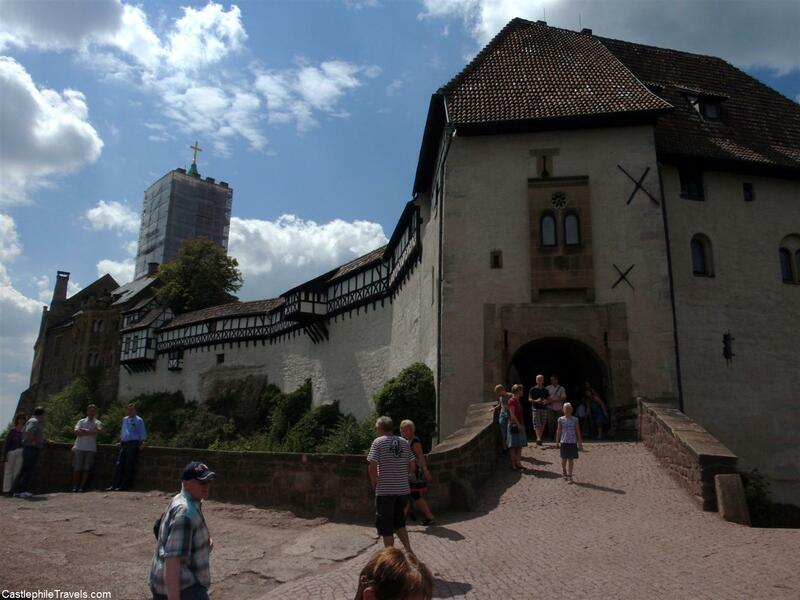 The Wartburg, a castle fifteen minutes away by train from Göttingen, has had many influential residents pass through its doors. 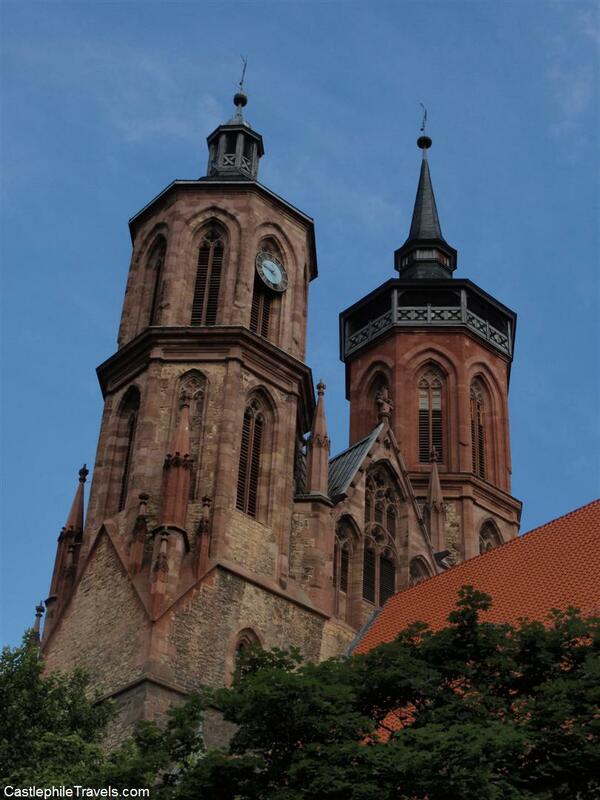 It has housed Saint Elizabeth and been a sanctuary for Martin Luther to translate the New Testament from Greek to German. 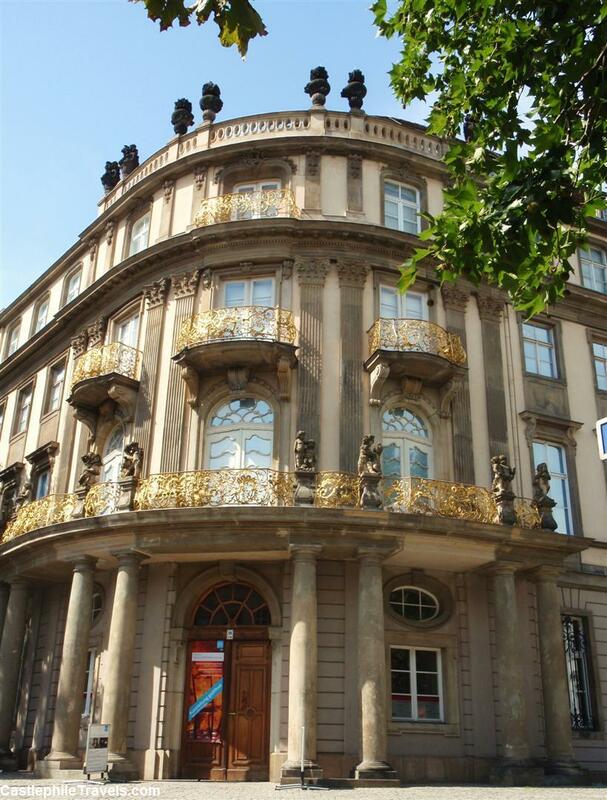 Its magnificent views and ornate architecture has inspired the minds of Goethe and Wagner to construct stories and operas about it. The very manner of its existence, built upon soil brought from far away, so that count could legally claim someone else’s land for the castle of his dreams, is legend. 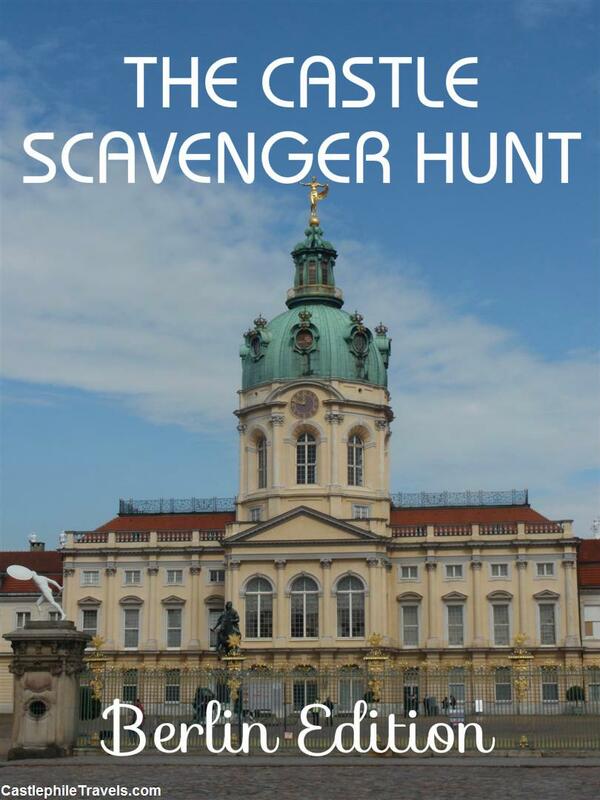 Come to Germany, come to Göttingen and come discover these stories for yourself. 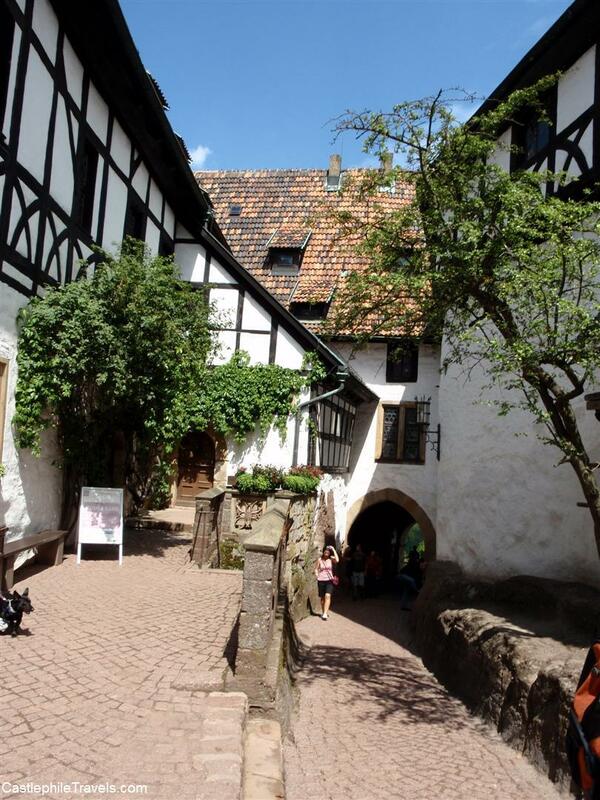 The Wartburg is a UNESCO World Heritage Site and if its walls could speak they would draw their tales from hundreds of years of history and talk of people who passed through the Wartburg from Saint Elisabeth, to Wagner and Goethe, to Martin Luther. From spurious beginnings, the castle has been added to throughout the centuries, and was much admired by King Ludwig II, who took influences from the Wartburg to design Neuschwanstein Castle. 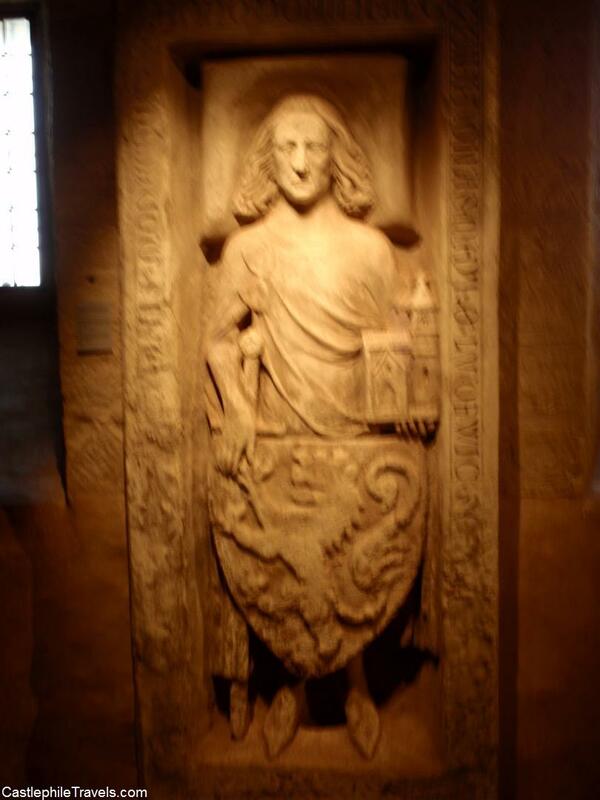 The Wartburg’s history begins with Ludwig Springer, who came across the hill that the Wartburg now stands on, and decided it would be an ideal location for a fortress. He said: “Wart Berg! Du sollst mein Burg sein!” (Wait, mountain! You will be my fortress!”) and went off to make it happen. Unfortunately for Springer, he didn’t own the land. But where there is a will there is always a way. Springer transported soil from his own lands, deposited it on the hill, and then began building the fortifications on top of that – therefore no one could dispute that he had built the Wartburg on his own land. The exterior of the Wartburg shows the different architectural influences utilised over the years. There are also several lookouts over the town of Eisenach, the surrounding countryside and the Thuringian Forest. From the Wartburg you can see the Burschenschaftsdenkmal, a monument to students who lost their lives fighting for a united Germany in the late nineteenth century. After going through the main gate, you enter the charming cobble-stoned inner courtyard, where you can buy tickets for the guided tours and also souvenirs at the castle’s gift shop. The courtyard leads out to the rear of the castle, where the Knight’s Baths (a small pool) is located. 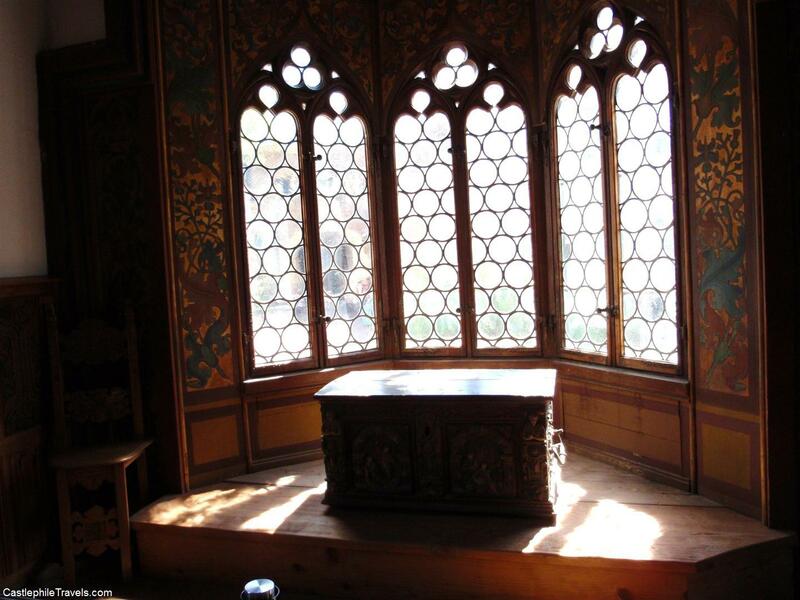 The Knight’s Room and adjoining Dining Hall date back to the 12th century, and are sparsely furnished. 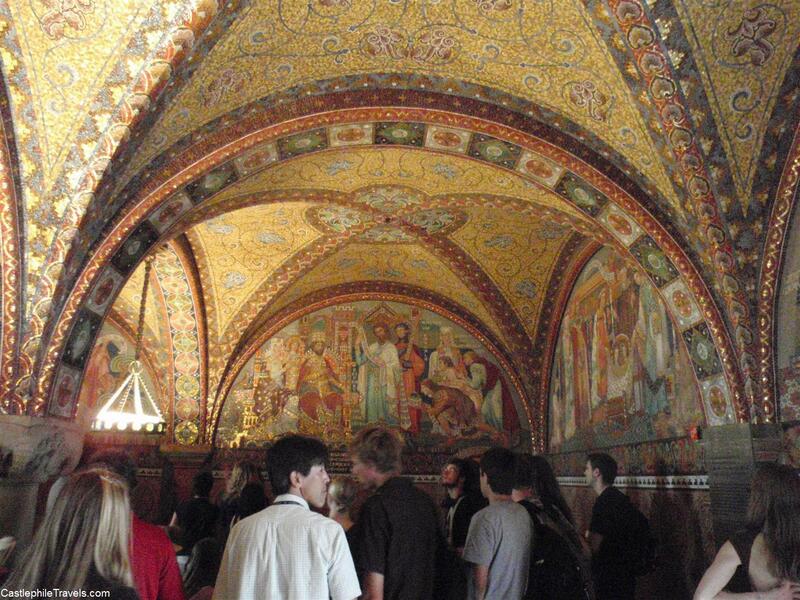 The Knight’s Room is the first room you see on the guided tour of the Wartburg. The adjoining Dining Hall displays a kitchen and table dating from the Middle Ages. 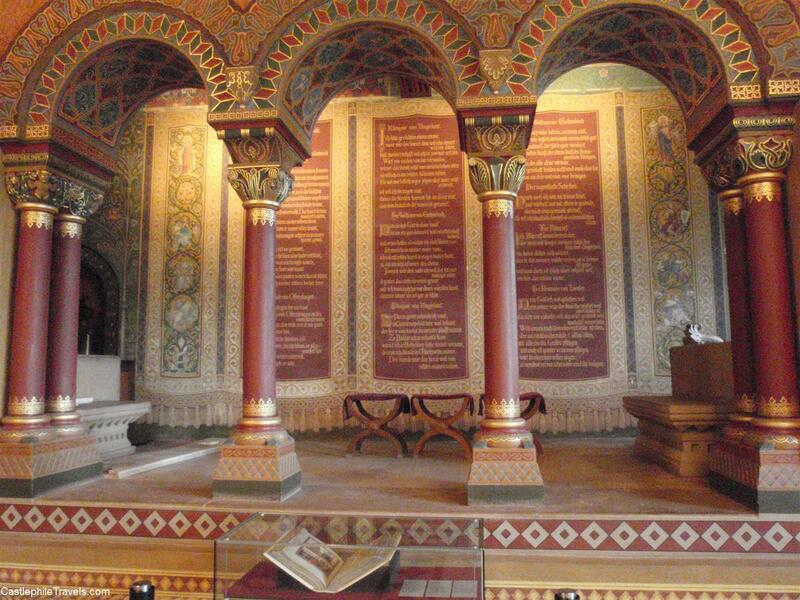 One of the most spectacular rooms in the Wartburg is the Elisabeth Bower. 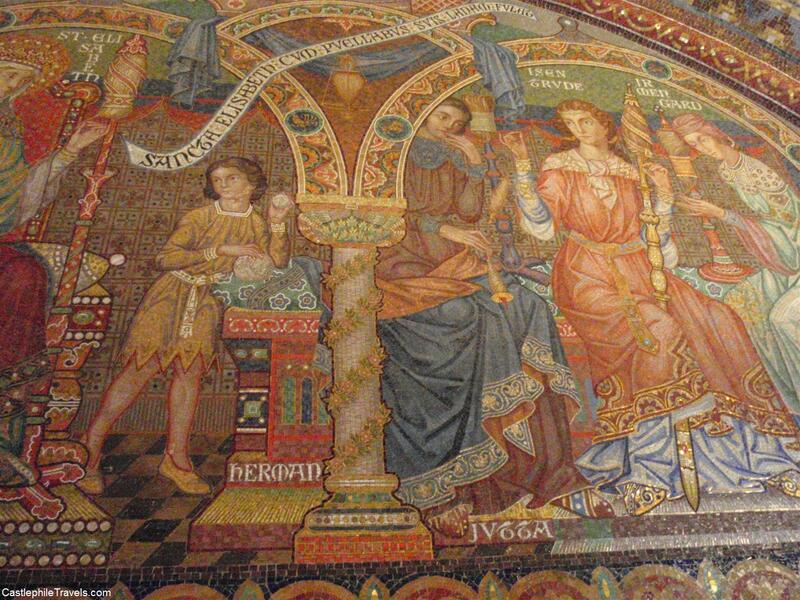 Named after Saint Elisabeth, a Hungarian princess sent to live in the Wartburg during the thirteenth century, the walls and ceiling of the room consist of mosaics depicting the stories of the castle’s inhabitants. 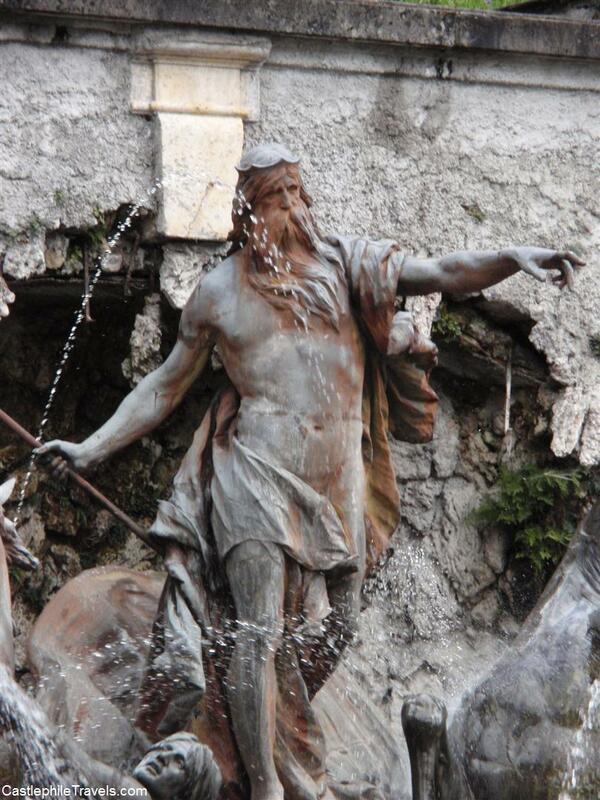 Although the mosaic is a more recent addition to the castle (it was done in the 1900s), it is a memorable sight. In the thirteenth century, Princess Elisabeth of Hungary was sent to live at the Wartburg at the age of four, where she would stay until she was old enough to marry her betrothed and become the castle’s Landgravine. She was canonised in 1235 for such events as the Miracle of the Roses, which is depicted in paintings in the Elisabeth Hallway. Upon being caught by her disapproving brother-in-law taking bread to the poor at the local hospital, she was questioned about what was in her basket. Elisabeth replied “flowers”. When the basket was uncovered, the bread that had originally been put in the basket had indeed turned into roses. The Singer’s Hall at the Wartburg. 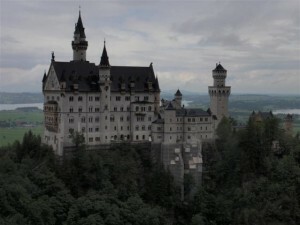 King Ludwig II created a replica at Neuschwanstein. 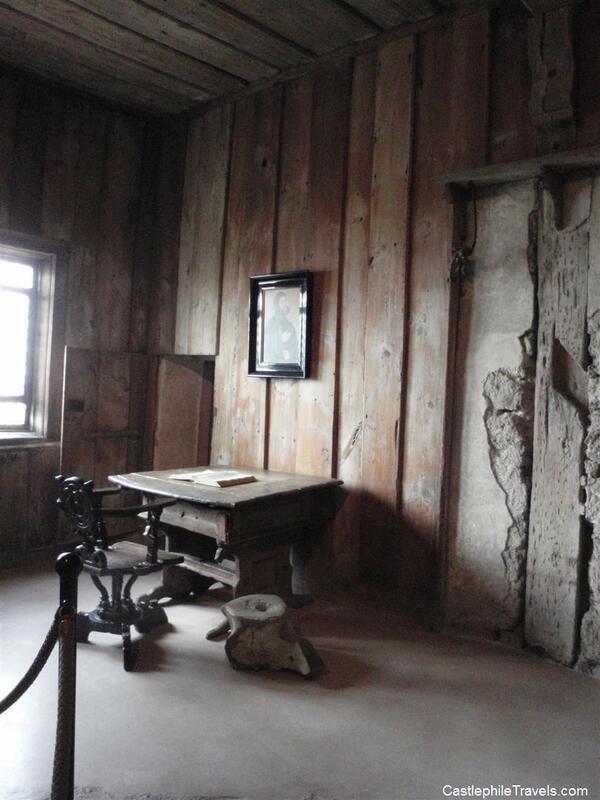 If you’ve visited Neuschwanstein, this room may look familiar. 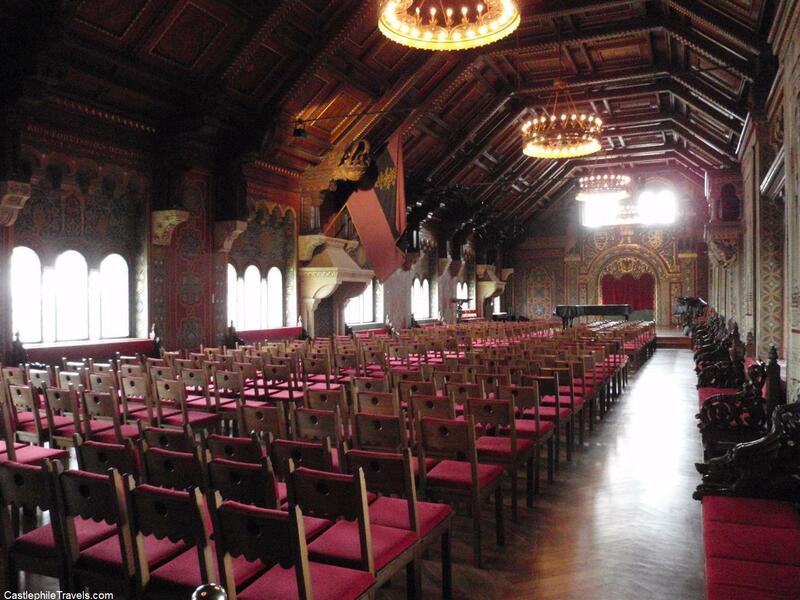 Upon his visit to the Wartburg, King Ludwig II admired the Singer’s Hall so much that he had a replica (though on a larger scale!) added to his dream castle. 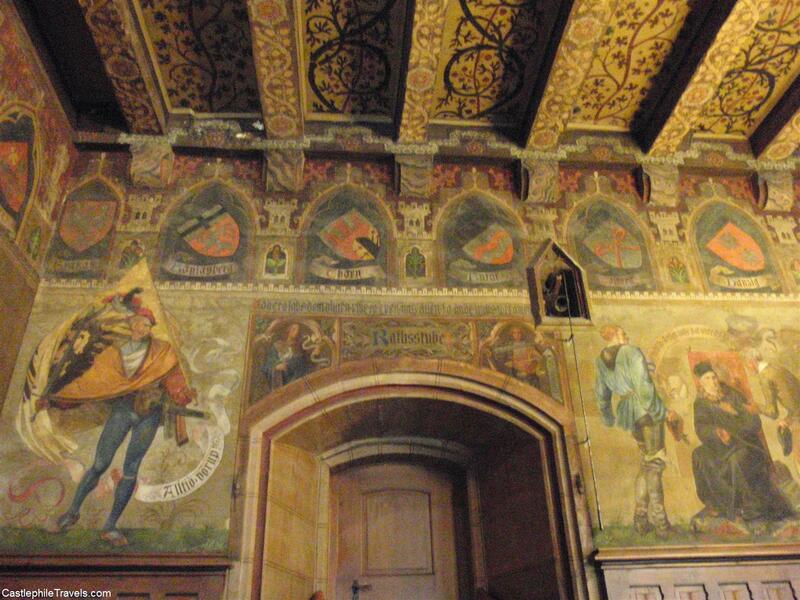 A tapestry depicts the legend of the minstrel competition held in this hall, where the loser’s penalty was death. Adapted by Wagner for his opera Tannhäuser and not confirmed to be out of the realm of legend, the singer’s competition at the Wartburg was a battle between six minstrels whose aim was to entertain the landgrave and his family. With the penalty for losing being death, each singer praised the landgrave in the hopes of winning his approval. One, however, decided against this scheme and sang about the Duke of Austria instead. This earned him defeat and he risked death until the landgravine appealed for him. The contest was agreed to be re-scheduled for a year’s time. This time, an unbiased judge was brought in, and no one was executed for losing the contest. 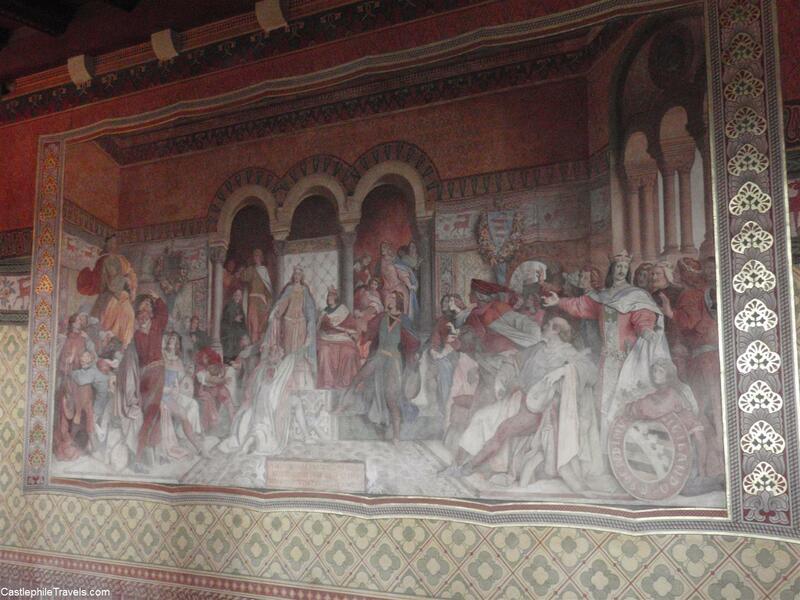 The competition is said to have taken place in the Singer’s Hall, where a large wall painting depicts the event. The final room in the tour is the Festival Hall. Originally used as a banqueting room, the Festival Hall played host to student fraternities. These days, the large space is used for concerts and ceremonies, including the graduation ceremonies of the local schools. During the 15th century, while in exile, Martin Luther spent some time at the Wartburg. Here he worked on his ideas of the reformation, as well as projects that included translating the New Testament into German. It is free to walk around the castle grounds, but you have to pay for a guided tour in order to view the castle’s interior. 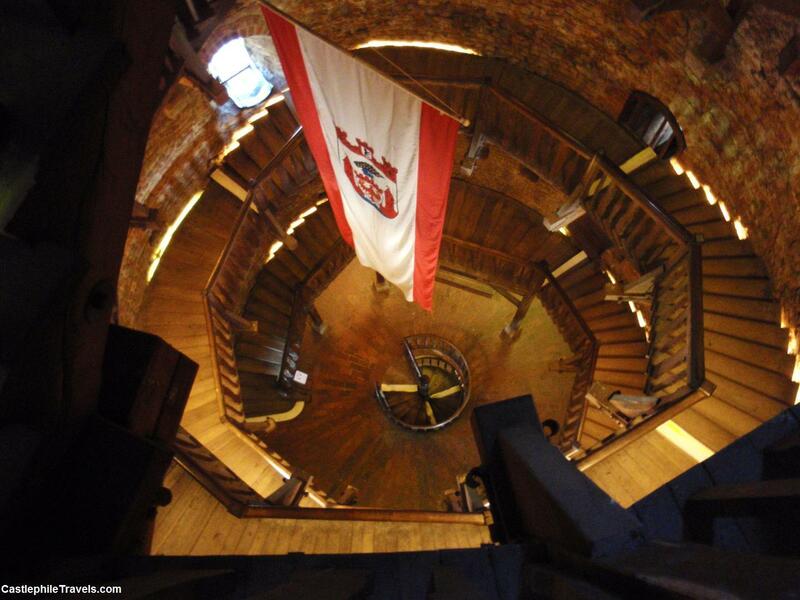 Tours are offered in German and English, and show visitors through the minimalist rooms of the Knight’s Rooms and the Dining Hall, the beautifully decorated Elisabeth Bower, the Wartburg’s Chapel, and the Festival Hall, before allowing you to explore the Museum and rooms where Martin Luther stayed. I must admit, I didn’t know much about Linderhof Palace before I went there. 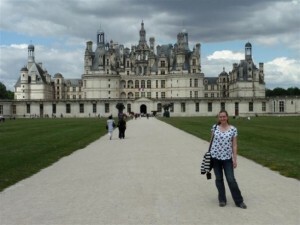 It was not on my list of must-see castles, and although it was one of King Ludwig II’s castles, I had heard more about Chiemsee, Hohenschwangau and Neuschwanstein. Linderhof Palace was a mystery. From the carpark, it is a short walk up to a cluster of buildings where you can buy tickets, food, drink and access the amenities. Following the path further, you enter Linderhof Schlosspark, and pass streams of gushing water, and an idyllic lake complete with King Ludwig’s beloved swans paddling gently on the water. Schloss Linderhof is not a sprawling castle. It looks quite square and compact from the outside, and was not what I was expecting at all. But the palace itself is beautiful – the decorative balustrades and the carving on the stones make it different from Ludwig’s other castles. It is less imposing and majestic than Neuschwanstein and Chiemsee – until you get inside. 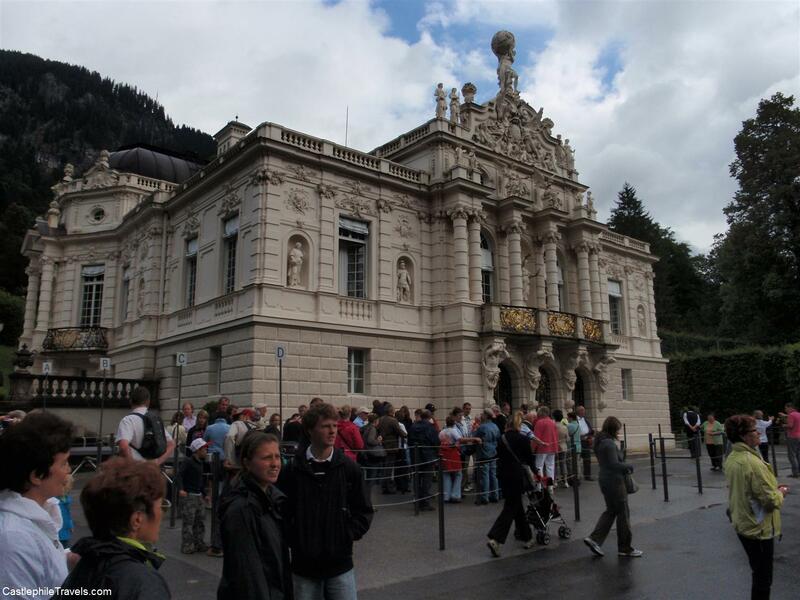 The facade of Linderhof Palace – summer brings long queues! The guided tour takes in the upper storey of the palace. 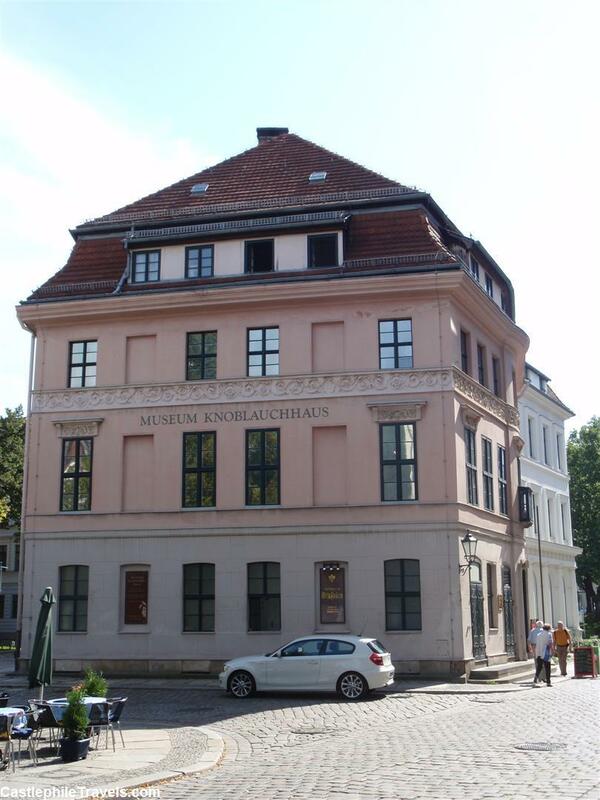 The first upstairs room we were shown into was the music room, followed by an antechamber, Ludwig’s bedroom/study, and finally a room which seemed like it was lined with mirrors – a trick to make the room look bigger. 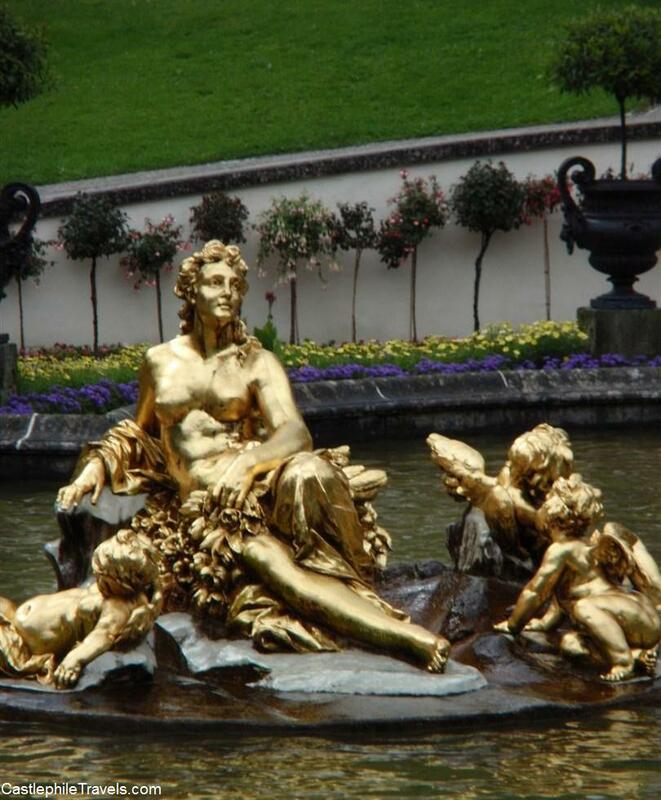 The gardens were beautiful, filled with fountains, manicured lawns and plants, and gilded sculptures. Unfortunately we didn’t have enough time to fully explore the gardens and the rest of the grounds surrounding Linderhof. It was a shame – they seemed to stretch on forever from both the front and the back of the palace. I would have loved to stay longer and explore the gardens of Linderhof Palace, and especially to see the famous grotto. Maybe next time? Schloss Linderhof is in the mountains of Bavaria, Germany, near the town of Ettal. 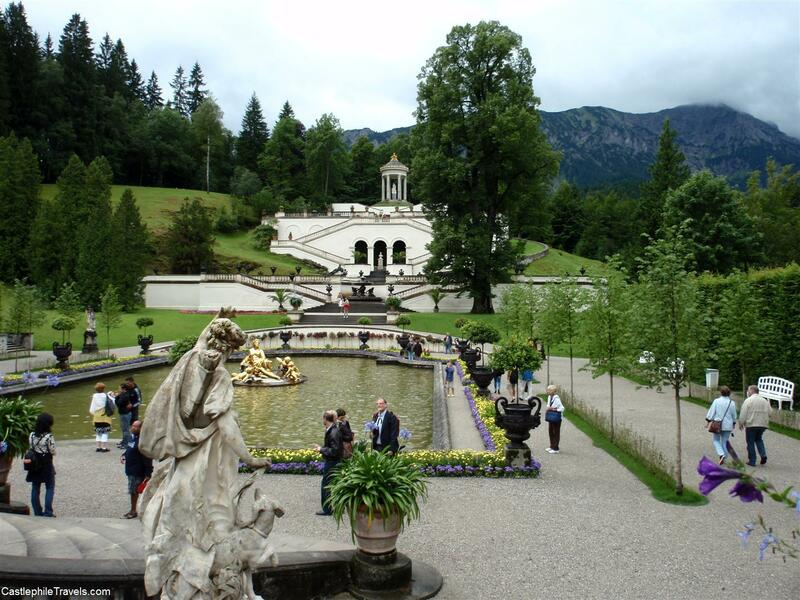 The easiest ways of getting to Schloss Linderhof is by car or with a coach group. See the official website for directions. You can only see the inside of Schloss Linderhof as part of a guided tour. Tickets for the guided tours can be purchased onsite. Check out the official website for information on tours, prices and opening times. Photos are not permitted inside Schloss Linderhof. Visit the official website of Schloss Linderhof. My parents always took us on holidays in Australia as my brother and I were growing up. Our family caravan took us halfway around the country when I was seven, giving me vivid memories of climbing Ayer’s Rock (Uluru), spying crocodiles floating like logs in Kakadu National Park, dangling my legs out of the window of the Puffing Billy in Victoria and being sorely disappointed by the Singing Ship in Rockhampton. I didn’t think about the ability to travel overseas until I was much older, and I didn’t need to – family holidays to beaches and lakesides were enough for me. Both sides of my family came from Germany, one hundred and fifty years before I was born. At ten years old I read the textbook my mother had learned German from, excited to be able to speak another language. Three years later, in my eighth grade German class, we were learning how to say someone was allowed to do something. Splashed across that double-page of my textbook was a cartoon drawing of the inside of Neuschwanstein castle, plus an information text about the mad king who ordered it to be built and then mysteriously drowned, having only spent a few days enjoying his fantasy castle. It was several years afterward that someone mentioned it was the basis for Disney’s Sleeping Beauty castle. Yes! I compared the photos with the opening credits of my childhood escape, adding another layer on to my need to see Neuschwanstein in person. While on a school exchange trip it looked like my dream of visiting Neuschwanstein Castle would be realised. Only I was outvoted by my classmates: they opted to visit the closer palace of Herrenchiemsee, a replica Versailles. When my brother, armed with my camera, went on the same exchange trip two years later, he made it to Neuschwanstein, only to have the camera stop working as soon as he began walking up the hill from the carpark. It became a running joke in my family that I was never meant to see Neuschwanstein. Eight years later, with university and work behind me, my best friend and I started to talk about “what-if we went on holiday to Europe”. When her then-boyfriend had a bike polo event to go to in Berlin, it was the excuse I needed to make going to Neuschwanstein the highest priority on my list of things to see. It was an indescribable feeling staring at Neuschwanstein from the Marienbruecke bridge. It was more than ticking something off of my bucket list. It was the feeling of having achieved something that I’d wanted for a long time. I’d caught the bug. Now I have lists of places I’ve longed to see – and I know that I can see them if I want to. What is your travel dream?